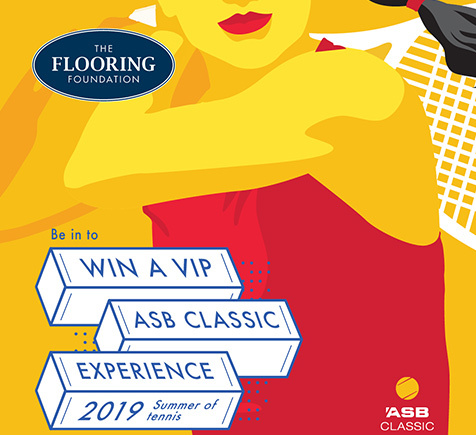 - 2 Tickets to the ASB Classic Women’s Final on Sunday 6 January 2019 or 2 Tickets to the ASB Classic Men’s Final on Sunday 13 January 2019. - Return flights for 2 to Auckland, departing from Invercargill, Dunedin, Christchurch, Wellington or New Plymouth, 5-7 January or 12-14 January 2019. - Return airport to hotel transfers in ASB Classic players cars. - Return Hotel Pick up and Drop off to and from ASB Classic tournament in players cars. - 2 nights accommodation at the Pullman Hotel Auckland on Saturday and Sunday nights, 5 to January or 12 to 14 January 2019. - Daily buffet breakfast in Tapestry at Pullman Auckland. Catering at the ASB Tennis Centre from 2pm on Sunday. - Access to the post-match press conference. - Guided behind the scenes tour. - Meet & greet with either players/Tournament Director. - Expenses related to pre or post travel arrangements including airport transfer to and from airport from your home. - Hotel incidentals including but not limited to room service, mini bar, in house movies. - The promotion is open to New Zealand residents aged 18 and over. - Purchases for installation in domestic residences only are eligible. Domestic residences are defined as homes, flats, town houses and apartments. 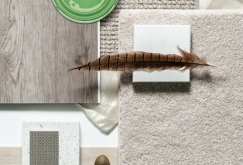 - To be eligible to enter you must have provided a Flooring Foundation store with a confirmed order for the supply and installation of Godfrey Hirst or Feltex flooring and paid the applicable deposit. - Only one entry per domestic residence is permitted. - Entries must be received no later than 31st October 2018. - Eligibility to enter the draw does not extend to employees, employees’ families or directors of Godfrey Hirst, Feltex Carpets, or Flooring Foundation stores. - The draw will take place on 05th November 2018. The winners will be notified by the applicable Flooring Foundation stores by 09th November 2018. - Winners must accept prizes as awarded by the Promoter, on the dates specified by the Promoter in its sole discretion. - In order to gain entry to the VIP Experience prizewinners must be aged 18 years or over at the time of travel. - Proof from the retail store that your deposit for the product has been paid in full. - Evidence of purchase has been validated by the judges. - The judges’ decision is final and no correspondence will be entered into.